This entry was posted in Humbug! and tagged comments, general dumbness, humor, humour, playing with a full deck, politically incorrect, questions, sayings, Statler Brothers, thoughts. Bookmark the permalink. This is the best list ever! 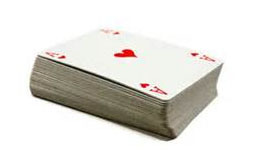 Your full deck of cards is firing on all cylinders in the knife drawer of life! Thank you. I am now the sharpest deck of cards firing in the knife drawer. A few rooms to rent upstairs. Thank you visitng, enjoying and adding to the list. Thinking, thinking, thinking. Nope. I got nothing. Maybe I’m not the sharpest tool in the shed. This is an old Yorkshire saying ‘a bit limp under t’cap’ meaning nothing is working under his hat. It can be very powerful said with sorrow in a genuine Yorkshire accent (these can be found on YouTube). Trying to row to shore with a set of toothpicks into a stiff wind with land not in sight.